Based on the article you should be able to build the 60m version now. 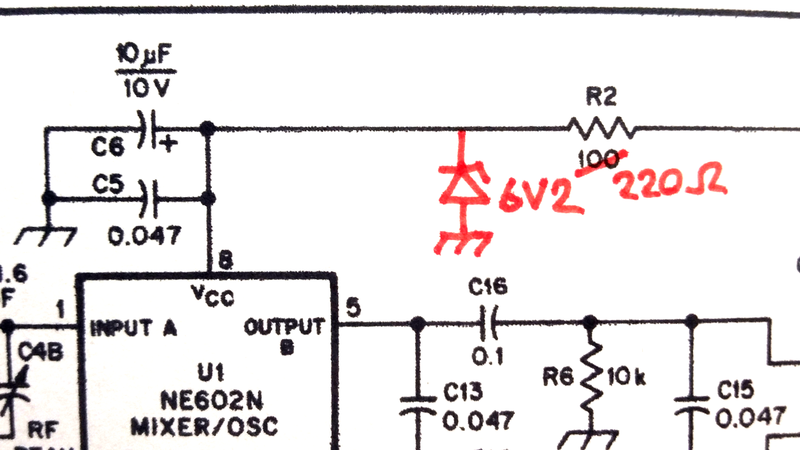 The VFO circuit for the 60m version is equal to the one in the 80m version. Original circuit of the Neophyte receiver, as published in QST, February 1988. 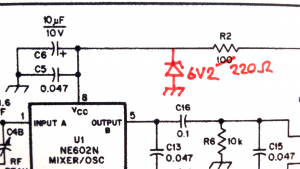 Voltage limitation for the NE602, using a 6V2 zener diode. 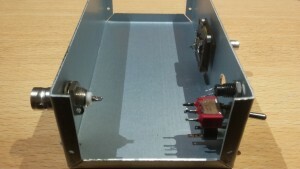 The NE602 mixer does not allow 12 volt, so add a zener diode (5V6 ~ 8V2) with anode to ground and cathode to pin 8 of the NE602. Also increase the value of resistor R2 to 220 ohm. 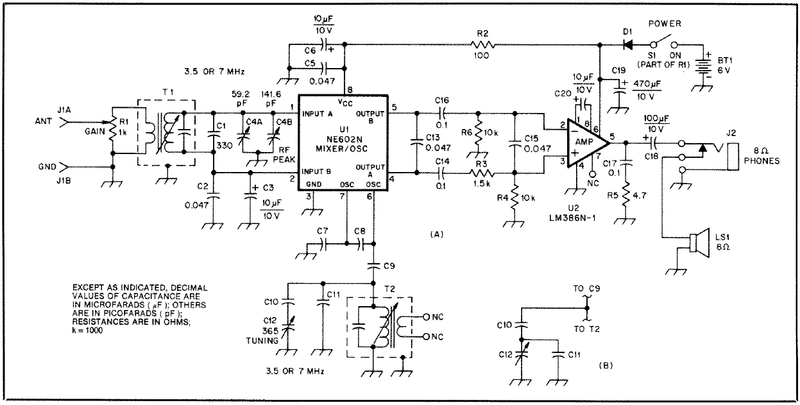 The maximum allowed voltage for your 386 audio amp depends on the subtype, e.g. the LM386N-1 has a 12 volt limit, while the LM386N-4 goes up to 18 volt (and gives a bit more LF power output). I recommend using the 18 volt version. 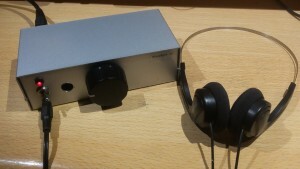 Testing my homebrew IF transformer (T1). 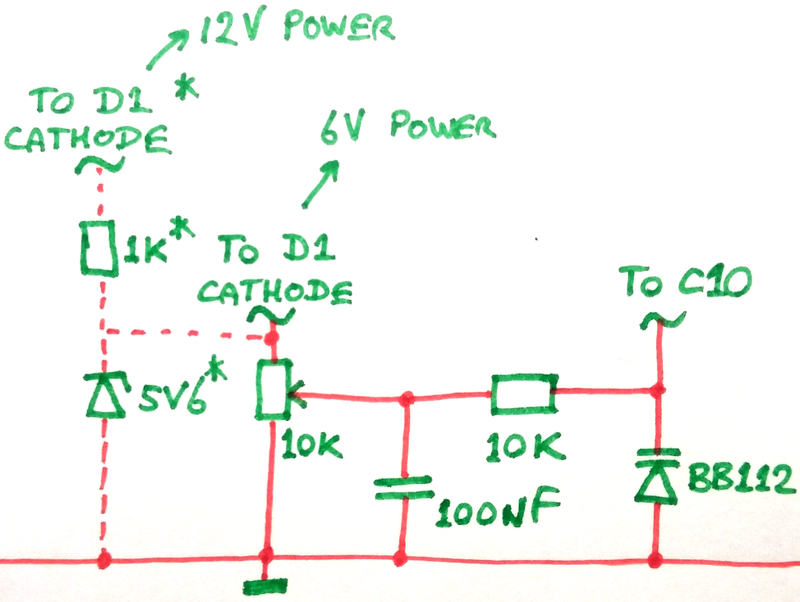 The circuit contains two IF-transformers (Mouser 42IF123-RC) which are outdated nowadays and probably hard to find. 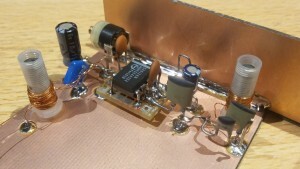 These are 1:7 transformers for 10.7 MHz (green core). There are several ways to replace them. T1 is used as a real transformer. Compatible models include the KANK3334 (also outdated) and the A1210 (did I say it is outdated?). I made my own transformer; I put two windings (5 turns and 28 turns) on an adjustable 5mm core. Since the original transformer included a 47 pF parallel capacitor I used a 150 pF capacitor for C1, which is about the sum of the given 100 pF (see table above) and 47 pF. Yet another option is to put the windings on a toroid core, as described in the article Making a toroidal KANK by David G4COE, although you can’t tune the coil now so you have to add a trimmer (e.g. replace C1 with 120 pF and a parallel 50 pF trimmer). T2 is used as a single coil of 4.5 uH, which can be easily made on a toroidal core. Again, don’t forget you’re missing 47 pF, so increase the value of C11 (e.g. use 150 pF instead of 100 pF for the 60 meter version). 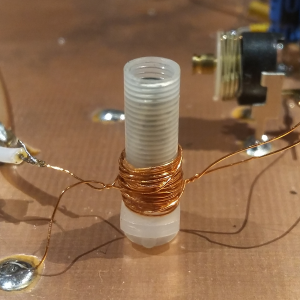 I would not use those resistor-look-alike coils, their Q is too low for a steady oscillator. Varicap based tuning for the Neophyte, this circuit replaces C12. 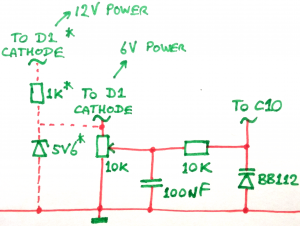 The * marked components are only needed when you use a 12V power supply. The original circuit includes a 365 pF variable capacitor to set the receiver’s frequency, often found in old analog AM/FM radios. I initially used a 200 pF capacitor, which I found in my junkbox. Both have the same issue: 100+ kHz tuning range on a half turn is not convenient. For a more precise tuning you may replace it with the circuit below, based on a BB112 varicap diode. The variable resistor turns about 270-300 degrees. You may even use a 10-turn potmeter for more comfort. 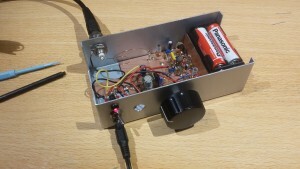 My experimental version of a 60m Neophyte receiver, testing 12 volt operation, homebrew transformers and capacitor values. Down here you see some pictures of my final Neophyte-60. 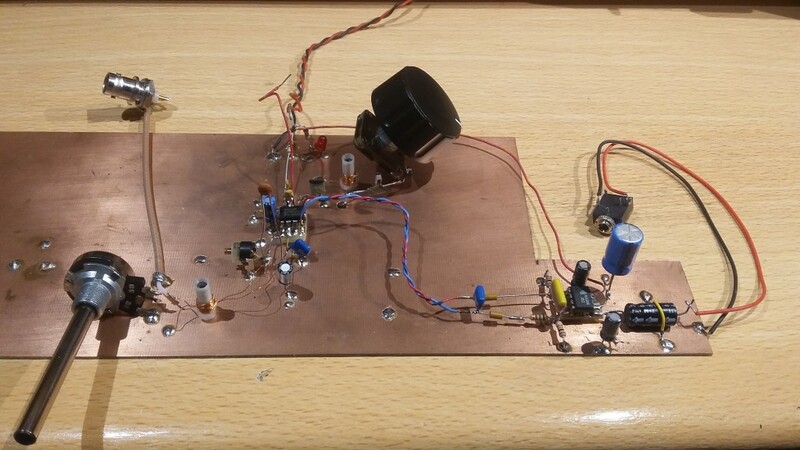 This one is based on the original circuit, except for the different capacitors for 60m and the homebrew IF coils. 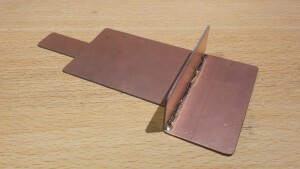 Base plate for the receiver, made of copper clad. I cut away some parts to allow it to place/remove in the case without removing connectors, switches, etc. 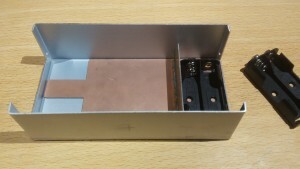 The vertical piece of copper clad seperates the battery compartment from the electronics. The NE612 mixer with input bandfilter and VFO. Meanwhile I’m preparing the case. 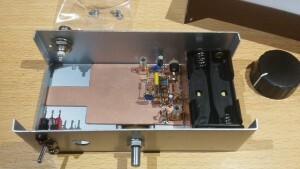 Testing the receiver, I hear some nice stations, and reception is better than the first experimental receiver. What AWG (dia) wire did you use? What AWG (dia) wire and toriodal core size did you use? I used AWG32 for both coils. About my cores… I don’t have any spec’s, brand or type number. I once found a bunch of these on a market, all I can tell you is that the ferrite diameter is 4mm. Somebody once told me they are probably made by Racal. I’m not sure about that since all Racal coils I’ve seen look different from mine. Anyway, any Txx-6 core will do the job, although they’re not adjustable.